Attend a panda birthday sleepover, see Elsa belt it out, take a ride down a 1,000-foot water slide, and more. What: Settle in for a showing of Rio 2 at the 2,000-seat outdoor theater. How To Train Your Dragon 2 screens two weeks later on 7/24. What: Get up close and personal with lizards, salamanders, turtles, and other reptiles and amphibians. When: 6 p.m. to 10:30 a.m.
What: Camp out in the backyard, and you’ll be lucky just to spot a squirrel. Instead, take your wildlife-loving critter to spend the night at Zoo Atlanta, which celebrates two years of twin panda cuteness with a behind-the-scenes birthday sleepover. What: In this updated stage adaptation—subtitled “a hair-raising tale like you’ve never seen before”—Rapunzel busts loose to discover the world outside her tower. What: Introduce your kids to the “olden ways” with demonstrations on soap-making, quilting, corn-milling, blacksmithing, and more, plus a replica “pioneer village,” complete with a one-room schoolhouse, general store, and log cabin. You’ll also find arts and crafts, live music, carnival rides, and a petting zoo. What: Bring your young artist (or feminist) to the third annual DIY festival, this year celebrating girl/grrrl creations. Expect panel discussions, how-to workshops, and vendor exhibits. What: As part of the 2015 National Black Arts Festival, tap legend Savion Glover offers a special all-ages, all-levels class for aspiring dancers. A once-in-a-lifetime opportunity for little tap lovers. What: The teen poetry on display here is anything but embarrassing. This 18th annual poetry slam festival showcases the talent of young writers from cities around the world, who compete all week to take the stage at Symphony Hall. What: Beat the July heat with a blast of Frozen fever. The Broadway icon is sure to “Let It Go”—and you just might hear songs from Mendel’s other kid-friendly hits, the musical “Wicked” and Disney’s modern-day fairytale Enchanted. What: Check out traditional African music and dance performances—or take a dance or drumming class—at this seventh annual Morehouse event. 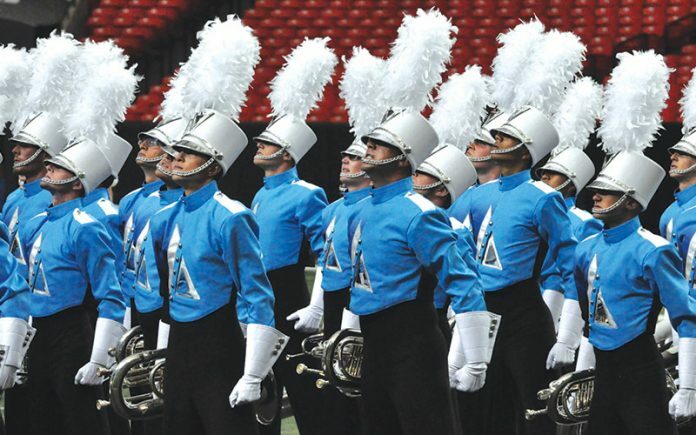 What: Whether you’re a full-fledged marching band parent, or your kid just loves a good show, head to the Dome to see 27 of the country’s best bugle and drum corps, including three local groups: the Alliance, the Atlanta CV, and the Spirit of Atlanta. What: Hop aboard the ‘hooch in this six-mile float along the river (bring or rent your own kayak or raft), which starts at Morgan Falls Dam and ends at Powers Island, where families can enjoy food and live music. What: What better way for the Decatur Business Association to celebrate its 30th anniversary than with a gigantic water slide? The slippery contraption will stretch 1,000 feet down the center of Ponce de Leon. BYO floatie. What: Day-trip to Macon for the circus-themed Arts & Kids Fest, featuring fire breathers, jugglers, and magicians, plus a water slide, rock wall, animal shows, food trucks, and more. At night, stay for genre-spanning concert series at venues around the city. What: In this 19th-century children’s tale, a boy discovers a bookish dragon living above his home. When the other townspeople find out, they (perhaps understandably) freak, until the boy and a knight help them learn to accept the creature. What: Canadian circus troupe Cirque du Soleil channels The Wizard of Oz in their newest show, in which young man drops from the sky into a magical forest, where he meets fantastical creatures and embarks on an adventure. What: Before the (sure to be epically awesome) female-driven reboot comes out in 2016, introduce your kids to the 1984 original, on screen at the fabulous Fox.